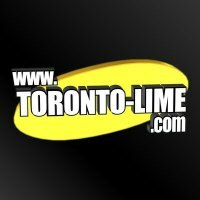 Founder and president, Jef Lo announced today that TORONTO-LIME.com will be no more after 16 years online. After being touted the number one Caribbean website for so many years the question is why? "It's time for me to move on" says Jef. 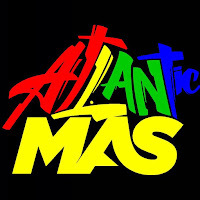 "In the initial start-up, the mission was to give Caribbean content a place on the worldwide web. Back in 1996, the only information that would appear in a search engine for the keywords 'Soca/Calypso' was about Harry Belafonte. Over the years TORONTO-LIME.com has inspired many to post their knowledge and content online. Today there’s nothing Caribbean you cannot Google. I think I've reached my goal." When asked if this was a move to early retirement, Jef said laughingly, "Business was good, but not that good." According to Mr. Lo, his immediate plans are to take some time off before returning to his other business (Soca Bookings), where his focus will now lie in artist management and public relations. TORONTO-LIME.com is now officially off-line. The highly prominent domain name will be up for sale within the next few weeks and speculation on how high bidding will reach for the heavily sought-after brand is anyone's guess. Thanks for 16 great years of promoting and keeping our Caribbean community informed! Jef and company.....you will be missed. All the best in your future endeavours! Mr Lo. Thanks for the good times,and the memories. Well done!but when you gotta go, you just gotta go.